President Maithripala Sirisena recently dissolved parliament, paving the way for fresh elections in mid-August. DW speaks to Sri Lankan political analyst Jehan Perera about the reasons behind the move. 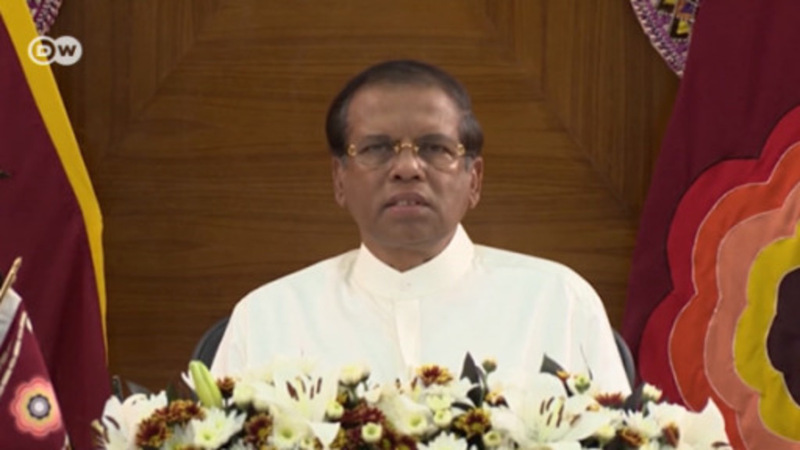 Sirisena issued the notice at midnight on Friday, June 26, announcing the election for the 225-member Parliament for August 17, some 10 months ahead of schedule. The new parliament would be convened on September 2, officials said. Sirisena's decision came after PM Ranil Wickremesinghe pressed for elections because the ruling United National Party (UNP) lacked sufficient majority to pass reforms. Sirisena won the January presidential election against Mahinda Rajapaksa on promises of full-scale political reforms, which included reducing powers of the presidency and changes to the electoral system, but he has faced resistance from lawmakers in implementing his program. Jehan Perera, Executive Director of Colombo-based National Peace Council (NPC), says in a DW interview that the party that wins the upcoming parliamentary election, and the prime minister the winning party appoints, will become the real power in Sri Lanka. DW: Why did President Sirisena decide to dissolve Parliament? Jehan Perera: The dissolution of parliament took place after strong pressure on the president from multiple sources. There was a political deadlock, where the UNP government appointed by the President did not command the majority of seats in Parliament, and therefore was unable to govern effectively. A second reason was that the split within the president's own party was growing greater, with the former president (Rajapaksa) making a bid to come back as the party's prime ministerial candidate. So far President Sirisena has been resisting this come back bid. How important are these elections? The 19th Amendment to the constitution, which was passed two months ago, transferred power from the presidency to parliament. Therefore the party that wins the parliamentary election, and the prime minister the winning party appoints, will become the real power in the country. The United Nations Human Rights Council is expected to release a report in September on human rights abuses during the final phase of the war against the Tamil insurgency in 2009. In this context, why is the timing of the parliamentary election so important? The UN report is expected to name members of the former government and military officers as guilty of war crimes. This is likely to arouse nationalist sentiment in the country in favor of the former president and also polarize the nation once again on ethnic lines. Sirisena came to power on a pledge of full-scale political reforms, but has faced resistance from lawmakers in implementing his program. Why is there so much opposition in parliament? The president promised reforms relating to good governance and checks and balances in government. He also promised to eradicate corruption. The opposition comes from President Sirisena's own party which was in power for the last two decades. Many, if not most of them, are accused of corruption and abuse of power. They do not feel comfortable with reform and good governance. What are the chances of the President's party or its allies gaining a parliamentary majority? The president's party is presently divided between supporters of the president and former president. In these circumstances, the most likely winner is the UNP headed by the prime minister. What would an electoral defeat mean for the president? The president has been working quite well with the UNP government headed by PM Ranil Wickremesinghe. A combination of an SLFP president and UNP government, as at present, would be good for the country. The difference is that the UNP government would have a majority in parliament unlike at present. Therefore they are likely to be less dependent on the president, which will mean a diminution of his power. What role is former President Mahinda Rajapaksa likely to play in the upcoming elections? Rajapaksa is raising the specter of the resurrection of the defeated Tamil Tigers and the threat to the unity of the country. He is creating polarization in the country on ethnic and religious lines. Furthermore, he is projecting himself as the best defender of the national interest and the country's sovereignty. Jehan Perera is Executive Director of the Colombo-based National Peace Council (NPC) of Sri Lanka.